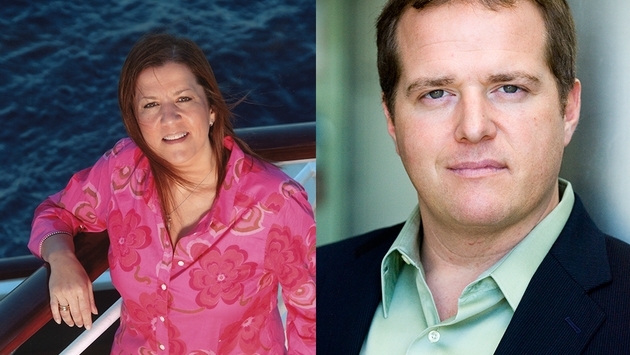 PHOTO: Vicky Garcia, COO of Cruise Planners and Drew Daly, general manager off network engagement and performance for CruiseOne and Cruises Inc.
How do you get where you’re going if you don’t have a map to get there? That’s a question that applies to your home-based cruise-selling business, and it’s critical for you to map out your goals. But many business owners procrastinate when faced with drawing up a business plan. Where to start? How to format it? What to include? “Like anything, when people start thinking about a business or marketing plan, they can get overwhelmed,” he says. Agreeing is Vicky Garcia, COO of Cruise Planners, an American Express Travel Representative. “People get analysis paralysis, and never get to it,” she says. “But businesses absolutely need a business plan, even if it’s on a paper napkin.” It’s more important to write down your goals and how to reach them than how you format your plan. In fact, you might consider your home-based business plan today to be more of a marketing plan because they tend to be simpler than when travel agencies operated out of storefronts or offices. But the focus on marketing is most important. Cruise Planners, for example, believes business/marketing plans are so important that agents are given templates to get them started. The plan should also include budgets. Are you going to tradeshows? Advertising in local publications or on the radio? Take it one step at a time. “It can get overwhelming for some people when they get swamped by details,” Daly says. “By an inch it’s a cinch, by the yard it’s hard.” Start by writing down the little things you can to attract people to your business. “The number-one goal is to grow your database, because then you can hopefully convert prospects into actual customers,” Daly says. “How do you expand your database? Attend community events. We do a ‘win-a-free-cruise’ sweepstakes, and during a period of time people register into your database for the option to win a free cruise. “A business plan is definitely essential to the growth and success of a business, especially a small business.” - Drew Daly, CruiseOne and Cruises Inc.
Cruise Planners also has an online portal with “hundreds of different versions of postcards and flyers,” Garcia says. The agent sent the BDM an idea and some bullet points in an email. The BDM said he’d consider it, but warned that the agent was asking for a lot of money. “But in the end, our agent got the whole thing because the BDM said ‘you’re the only one who responded,” Garcia recalls. Remember the old saying — “good luck happens when preparation meets opportunity.” Have a plan in place and you’re ready to share it when BDMs are offering money to help make it a reality. 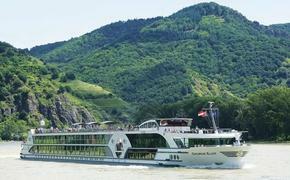 That’s even more important if your plan is specific enough for certain segments, like river cruising or the luxury market. Focusing on the luxury segment “might mean you have to join or be a guest speaker at a country club, sponsor a golf tournament or align yourself with an upscale restaurant,” Garcia suggests.